It was love at the first sight. Gold, grey and black, yes please! 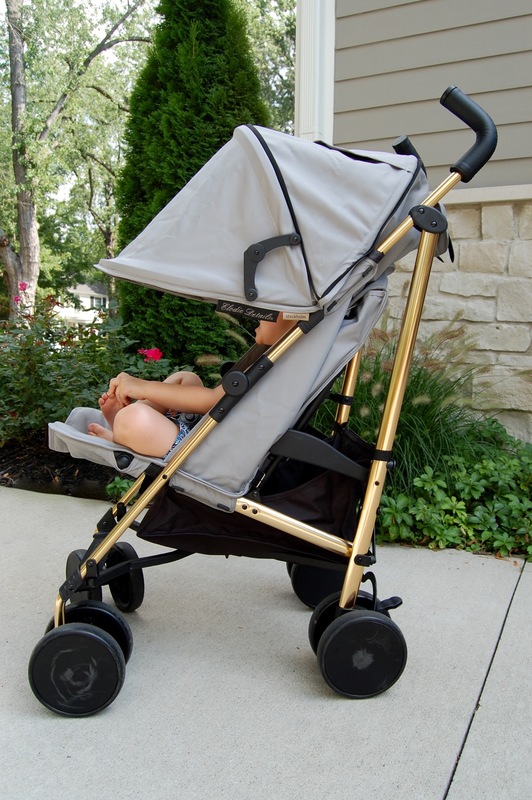 I think it’s a perfect travel and every day stroller. Elodie Details is a Swedish brand, that designs a lot of stylish accessories for babies and kids. I’ll check in later with some pics from our bedroom. I got the new, lovely sheets yesterday. Fast delivery, me like! Galet snygg! Så himla kul att följa din blogg!